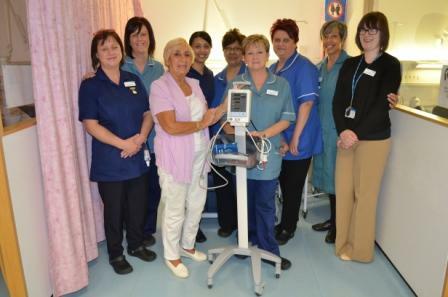 Local woman, Grace Leahy raised £2,000 for Sandwell and West Birmingham Hospitals (SWBH) Charity to support the Chemotherapy Unit at City Hospital’s Birmingham Treatment Centre. Grace Leahy recently visited the Birmingham Treatment Centre at City Hospital to see the difference that her fantastic fundraising efforts have made to supporting cancer patients in the region. Grace held a series of events including cake sales, raffles and tombolas to generate the £2,000 she donated to the SWBH Charity.